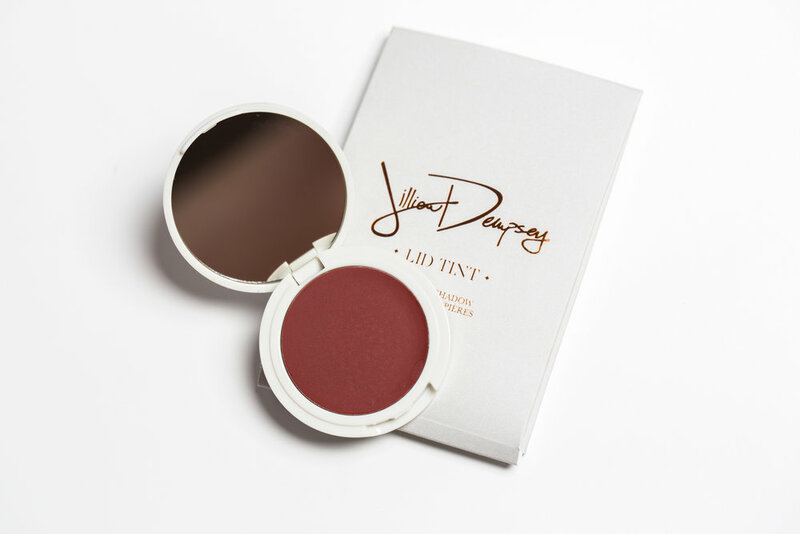 Legendary makeup artist Jillian Dempsey has been leading the industry by translating her impossibly breezy LA cool-girl aesthetic into a covetable–and clean!–color line. It’s no secret I’m an unabashed fan of her work (as are Kirsten Dunst, Kristen Stewart, Jennifer Lawrence amongst the many others who continually request her for red carpet engagements and editorial projects). That being said, the latest launch of three shades are just as flattering as the initial iteration. However, the coolness factor is definitely kicked up a notch. Starting from the left is Ruby, a gleaming neutral crimson. My favorite of the pack, it gives the most modern, edgy eye when smudged with a brown eye pencil (check out her work using it on Caroline Hirons for inspiration!) or patted on the center of an otherwise bare lid before adding a flick of black liquid liner.) This is just on the rim of my comfort zone as far as color goes, which keeps things exciting. I’m often finding myself stuck in a makeup rut or burned out on the chromed out eyeshadow effects . 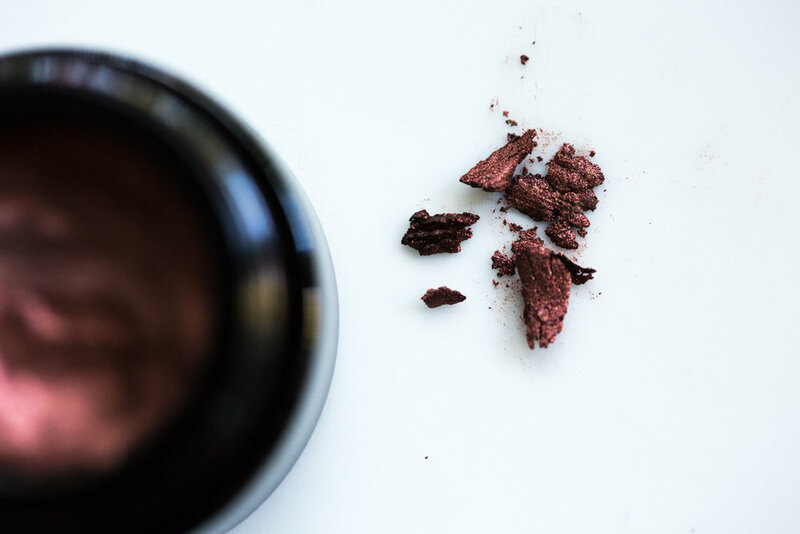 If you’re a Sephora VIB-type with an arsenal of eyeshadows, Ruby won’t disappoint as you probably have nothing like it in your repertoire; you’ll be reaching for it time and again. 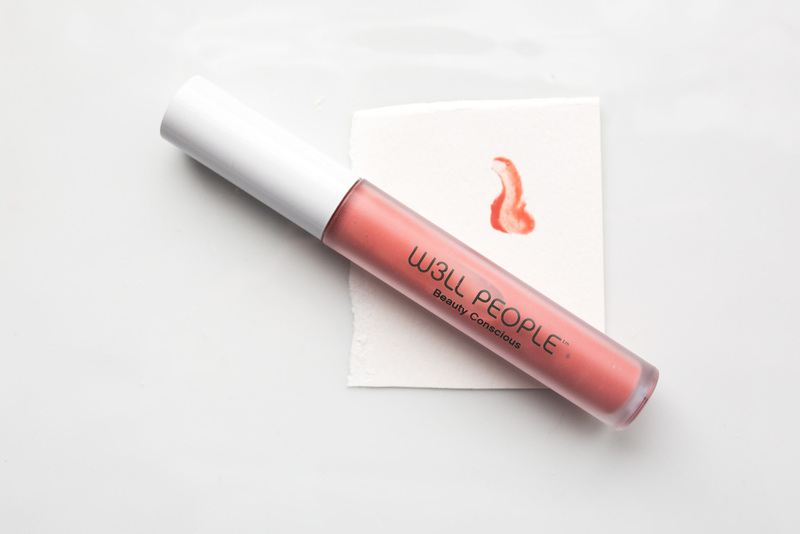 Bonus: you can tap it onto lips and cheeks to get a fresh berry stain effect, making it a useful product when traveling. Dew, top center, is a completely clear gloss. It’s definitely a product you see on editorials. Dew is the perfect name - it reflects light without looking too wet and there’s no shimmer at all. It’s fresh worn solo, but also modernizes any powder shadow texture when layered on top. Glimmer, bottom right, is a universally flattering warm and sparkling nectarine. Tapped on the moveable part of the eyelid, it enlivens any eye color. And this shade being endlessly useful, adds a sensual post-summer tan effect to the cheeks. I can’t think of anyone this wouldn’t look amazing on and it’s a mainstay in my purse. But again, if you’re at a loss what to pick up, make sure you get Ruby, pictured again below for good measure. And for further inspiration, check out Burberry makeup artist Wendy Rowe test driving the Lid Tints here. Available at Jillian Dempsey’s site or Credo Beauty. I'm now on my 2nd set of these eyeliners, they're just so good. Created by makeup artist Jillian Dempsey, who, in her own words "...couldn't find an eyeliner that would create a lived-in, smudgy look and stay in place—so I made one." I'm not a fan of pencil liners in general, they're often too dry with minimal color payoff. Not these shea butter, marula and jojoba oil-infused pencils, however. You can see how soft the pigment is, they glide on with no skipping, depositing a generous swoosh of opaque pigment. She uses these pencils on her many famous clients, and they frequently make a cameo on her Instagram page. If you're not sure which color to get, get both. Everyone needs both an excellent brown and black eyeliner. Another new drop via @credobeauty - Ilia Color Haze Multi-Use Pigment. A multi-functional whipped formula, easy to blend out for a soft wash of color and a comfortable matte finish. 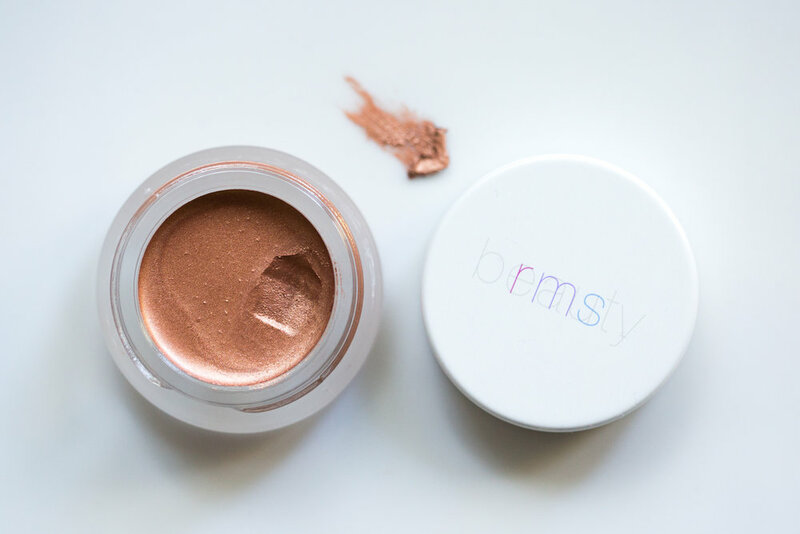 New via @rmsbeauty Amethyst Rose Luminizer! Inspired by Rose-Marie's February birthstone, amethyst, she created this icy lilac highlighter with a subtle rose kick. New shades! 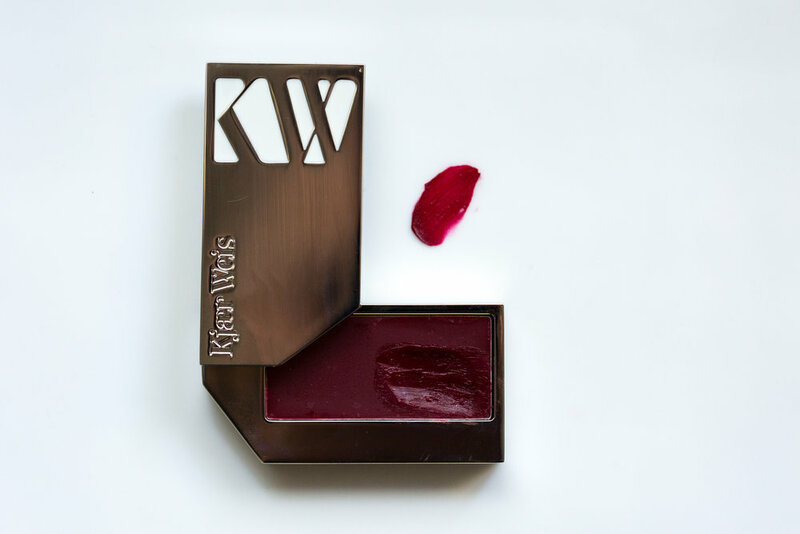 Sweetly pink Kjaer Weis lipglosses in Intimate and Admire. New launches from Ilia! True Skin Serum Concealer and True Skin Radiant Priming Serum.